Like many other terriers, the West Highland White Terrier originates from Scotland. Westies have a happy disposition that endears them to everyone they meet. 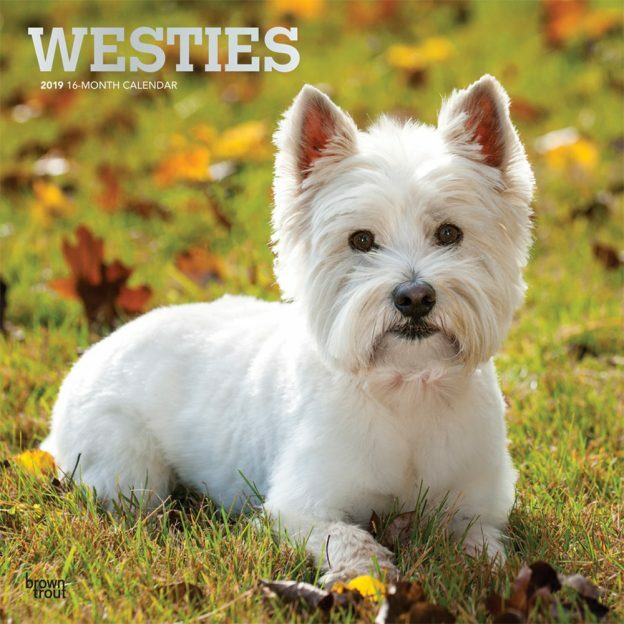 Westies are very affectionate and are known for their spirited nature. Vivacious and intelligent, they make faithful companions and entertaining playmates. With 13 full-color images of wonderful Westies, this square wall calendar is a must for Westie lovers. This calendar includes a free download of the DogDays™ app for the smartphone and tablet, which grants access to the world’s most captivating dog photos and backgrounds, fun puzzles, and a calendar featuring your favorite furry friends. This entry was posted in Calendar Showcase, Dog Breed on March 17, 2019 by dogdaysapp.